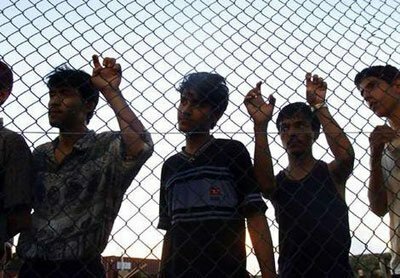 MELBOURNE, (Australia) — A United Nations human rights expert has postponed an official visit to Australia because of lack of cooperation from the government and concerns that the people who spoke to him about conditions faced by asylum seekers could risk imprisonment. UN’s special rapporteur on the human rights of migrants, François Crepéau, said he was invited to travel to Australia by the Commonwealth and planned to gather information about the situation of migrants and asylum seekers in the country and on offshore detention centres. But he has now postponed his visit to Australia that was due to begin on Sunday, citing a lack of government cooperation and “unacceptable” legal restrictions. “In preparing for my visit, it came to my attention that the 2015 Border Force Act, which sanctions detention centre service providers who disclose ‘protected information’ with a two-year court sentence, would have an impact on my visit as it serves to discourage people from fully disclosing information relevant to my mandate,” Mr Crepeau said in a statement. Mr Crepeau said he had asked the Government to give him a written guarantee people he interviewed during his tour would not be at risk of sanctions under the Border Force Act. “As the Australian Government was not prepared to give the written assurances required by the official terms of reference for fact-finding missions by special rapporteurs, it was not possible for me to carry out the visit in my capacity as a UN independent expert,” he said. Crepèau was due to visit Australia from 27 September to 9 October, but his trip has been indefinitely postponed. The Australian Border Force Act 2015carries a two-year prison sentence for people who disclose “protected information” about detention centre operations. Asylum seekers have long been a lightning-rod political issue in Australia, although it has never received anywhere near the number of refugees currently flooding into Europe from war-ravaged areas of the Middle East and North Africa. According to a report published in ABC News, a spokesman for Immigration Minister Peter Dutton said Mr Crepeau’s decision to postpone his visit was “disappointing”. “Australia remains ready to arrange a future visit by the special rapporteur,” the spokesman said. Greens senator Sarah Hanson-Young said the announcement by UN official highlighted Australia’s immigration shortcomings on a global stage. “The lack of transparency, the lack of free and unfettered access means that Australia is continuing to keep all of their operations in the dark, hidden even not just from the Australian media, but now from the United Nations itself,” she said. Next post "ASEAN must make bold decision to combat transnational crime"